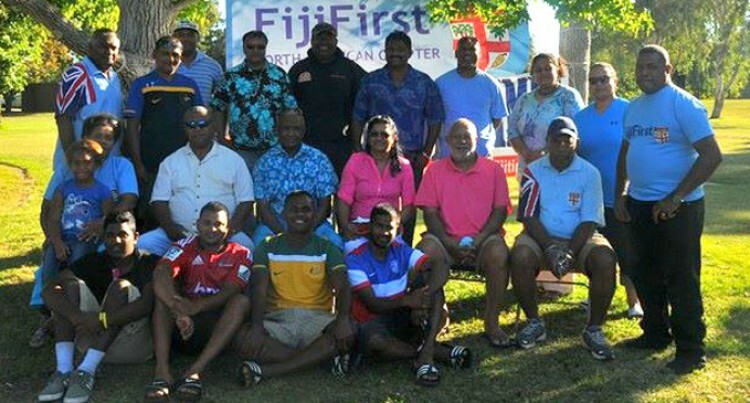 Members of the FijiFirst North America and Dubai Chapter have extended their best wishes to party leader and fellow candidates for the positive results announced so far. Former Fiji Naval Seaman Ben Nawaqavou of San Francisco said tthe party has introduced policies that have impacted the lives of those living in rural areas, and also enabling them more opportunities to take part in economic development. “Ever since the Bainimarama government came into power, a lot of negative comments have been made against them. “But see the results today, it has certainly proven the critics both in Fiji and abroad wrong”, Mr Nawaqavou said from San Francisco yesterday. The North America Chapter was established after Mr Bainimarama’s visit to members of the Fijian community in Santa Rosa, California, earlier this year. It enabled those who have lived in the US for so many years to speak with thehead of government on issues of interest. Former Republic of Fiji Military Fiji Chaplain, Padre Apisai Racule said the inclusive policies promoted by the Bainimarama government were important in nation building as it further served as a reassuring platform for enhancing co-existence despite our diversity. Former Ra cane farmer and now Ramada Inn CEO, Vineshwar Goundar, believes that the Bainimarama government has revamped and revolutionised Fiji’s governance system to suit the people of Fiji and its developments. “We have seen the dramatic changes especially the developments in the rural areas which were always neglected in the past, and I am calling upon all my fellow Fijians to maintain our support to PM Bainimarama during these elections,” he added. US Fiji Times CEO/Publisher, and former Raiwaqa resident Rocky Ali Buksh said Fiji now needed a holistic change in its government as the leadership of the past was not as facilitative as what the Bainimarama government has shown us. Meanwhile, former Labasa resident and Emirates Airlines Operations manager Shalendra Maharaj was adamant that FijiFirst will win outright simply because it’s a political party that cares for all races and that they have proven themselves before the elections. Three time Fiji 7’s halfback and Hong Kong hero Pauliasi Tabulutu said Fiji needed to embrace the changes brought about by modernisation. Former Public Relations Officer for the Fijian Embassy United Arab Emirates Kelepi Abariga says the support for FijiFirst in Dubai has been overwhelming and the group plans to get together on the 27th of this month to celebrate. “It’s that inclusive policy for all Fijians that has certainly made the vasu’s like us feeling more at home,” he said. “I am calling on all Solomon Island and Vanuatu black birding descendants to rally their full support for Fiji First,” Mr Abariga said.